Author(s) Poatsy, Mary, Anne; Grauer, Robert, T.
This is a compilation of projects for specific disciplines (Arts, Business, Education, Legal, and Science). 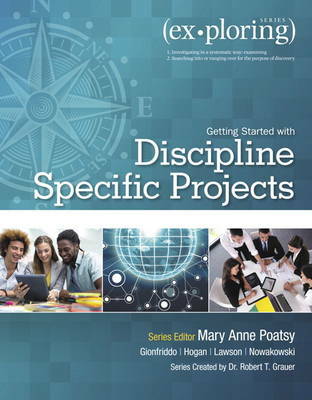 For each discipline there is one project each for Microsoft Word, Excel, Access, and PowerPoint, along with one integrated project. MyITLab® is an online homework, tutorial, and assessment program designed for Information Technology (IT) courses, which engages students and improves results. HTML5 Simulation exercises and Live-in-Application Grader projects come with the convenience of auto-grading and instant feedback, helping students learn more quickly and effectively. Digital badges lets students showcase their Microsoft Office or Computer Concepts competencies, keeping them motivated and focused on their future careers. MyITLab builds the critical skills needed for college and career success.